Housed within the walls of an early 20th century building, featuring a facade created in “forte” stone, the Hotel Panama offer a distinguishing feature and underlying current of this establishment is its quality, style and hospitality as exemplified by its constant pursuit of clearly understanding even the most subtle needs of modern-day clients. In addition to its twenty rooms, the hotel also offers ample areas in which to relax or conduct work meetings, all in a pleasingly soothing atmosphere. 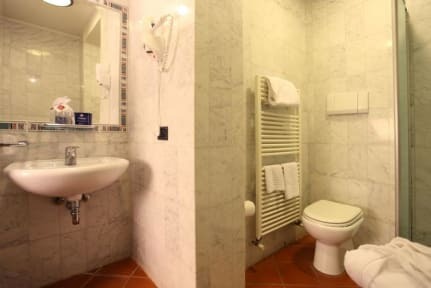 Hotel Panama is conveniently located with respect to the heart of the ancient Florence, a culturally, architecturally and historically unique city that is the favoured tourist destination for Italian and foreign visitors. 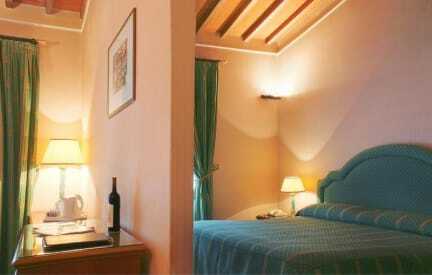 The hotel is just a few minutes’ walk from the Fortezza trade-fair complex. Hotel Panama has twenty impeccably prepared large rooms, with elegantly smart furnishings and all those essential modern facilities that make any stay elegant and unforgettable. For late check-in after this time a minimum notice of 2 days is required and an extra cost of Euro 20,00 will be charged. Upon your arrival you will be asked for a credit card as a guarantee or a security deposit of Euro 25.00 for the electronic key.